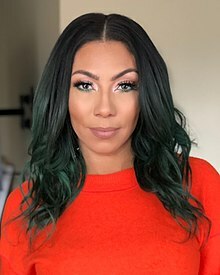 Bridget Kelly (born April 8, 1986), is an American singer and songwriter from New York City, New York. In 2008, Kelly, a pop and R&B recording artist, who has written songs for fellow American singers such as Kelly Clarkson, secured a recording contract with American rapper and hip-hop mogul Jay-Z's record label, Roc Nation. Dream and Ne-Yo understand what women go through, what we feel, what we talk about, what we're scared of, and I think that their records show that clearly as well. I really pride myself in being able to combine soft and hard characteristics. If I do a leather jacket, then it will be with a really pretty feminine blouse underneath. I always wanted to be a part of a New York-based label, so I've worked really hard to try and network with people that I felt would put me in the right place.